The Boston University Evidence-based SBIRT Student Training Program (The BESST Program), funded by SAMHSA. This online module was created for Physcial and Occupational Therapists and students at Boston Medical Center. It is an introduction to SBIRT and demonstrates the importance and relevance of screening and brief intervention in this field. 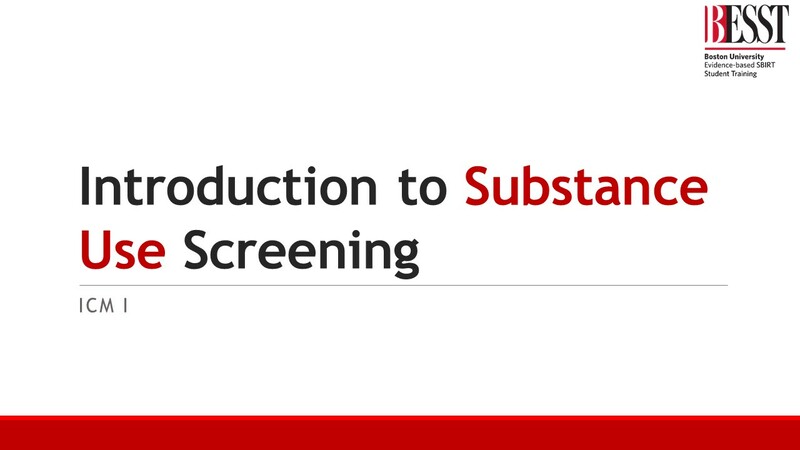 This online module was created for first year medical students at the Boston University School of Medicine (ICM-1), as an introduction to screening and assessing patients for unhealthy substance use. This online module was created for Health Professional students at Sargent College. It is an introduction to SBIRT and demonstrates the importance and relevance of screening and brief intervention in this field.